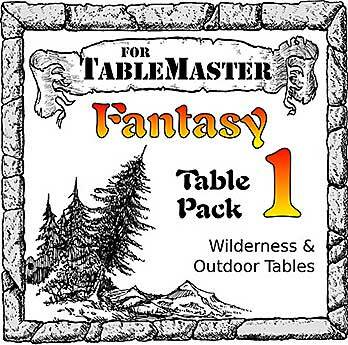 Compared to the last time around, TableMaster has some excellent package art this time. 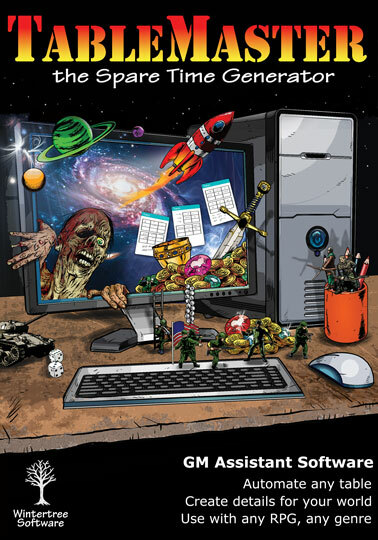 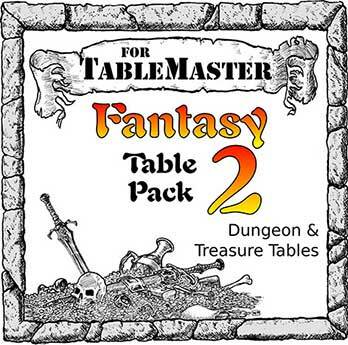 Credit for the art goes to the following: TableMaster box, Rick Hershey. 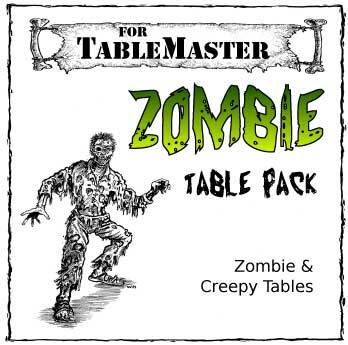 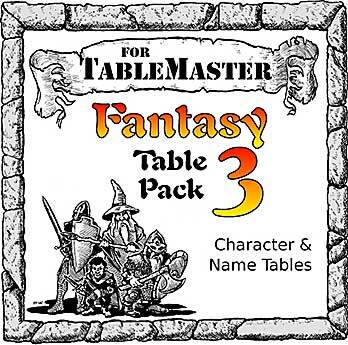 Fantasy Table Packs 1-3 and Zombie Table Pack, William McAusland. 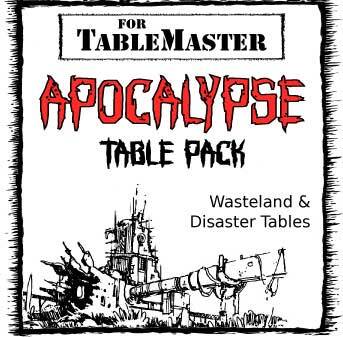 Apocalypse Table Pack, Forge Studios/Maciej Zagorski. 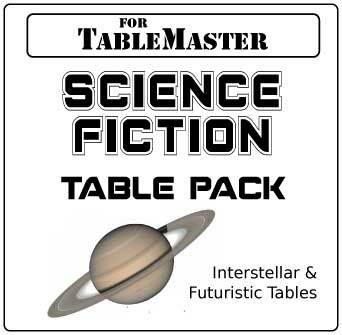 Science Fiction Table Pack, NASA.